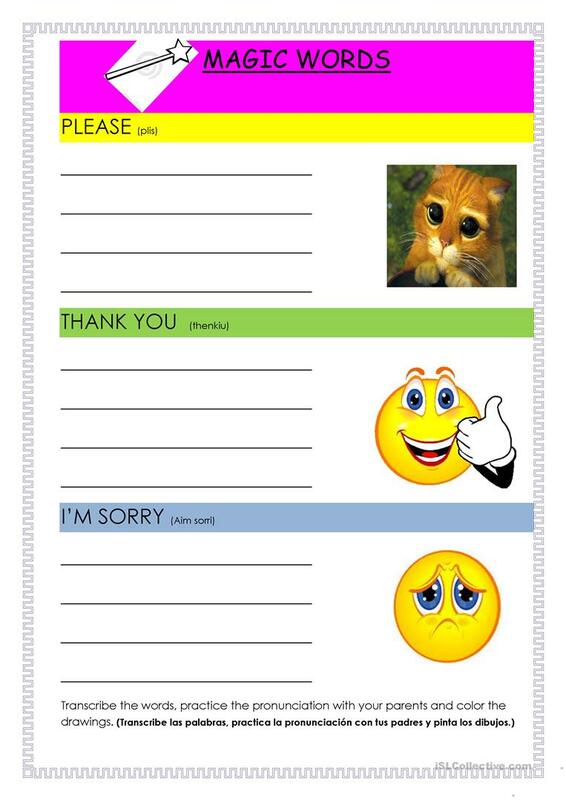 STUDENTS WILL LERN SOME MAGIC WORDS: PLEASE, THANK YOU, SORRY. This printable, downloadable handout is meant for kindergartners and nursery school students at Beginner (pre-A1) level. It is excellent for improving your pupils' Spelling, Reading and Writing skills.